air joe is proud to serve the Arlington Heights community! We are proud to be a part of this community, serving your heating and air conditioning needs: air joe is listed in many directories under titles such as : Arlington Heights Heating Contractors, Arlington Heights Heating, Arlington Heights Air Conditioning, Heating Repair, Air Conditioning Repair, Arlington Heights Heating and Cooling Contractors, Rooftop HVAC Repair, Ductless AC Systems, Boiler Repair and Arlington Heights Heating and Air Conditioning Contractors. We are here for you whether you need furnace or air conditioner repairs, heating and cooling estimates, equipment replacement or new installation of a furnace, air conditioner, heat pump, rooftop heating and cooling or comfort products to improve the air filtration for your home or business. Located in Cook County, Illinois, Arlington Heights is a Chicago suburb with a population of roughly 75,000 people. This community is the largest “village” in the U.S. by population, although neighboring villages of Bolingbrook and Schaumburg are following closely behind. This population growth can be attributed to many major employers and businesses that are located in the community, and the top include Arlington Park, Northwest Community Hospital, Level 3 Communications, and Township High School District 214. Found within the humid continental climate zone, Arlington Heights is known to experience four distinctive seasons with hot and humid summers and cold, snowy winters. 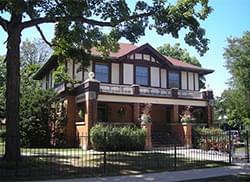 Arlington Heights is a unique community with varied activities and points of interest. One of the most notable is the Arlington Park Race Track, and it is home to the Arlington Million horse race. The Metropolis Performing Arts Center is another top attraction, and it includes art education and live entertainment. Visitors may also enjoy a trip to Star Cinema Grill or Gatsby’s Sports Pub.